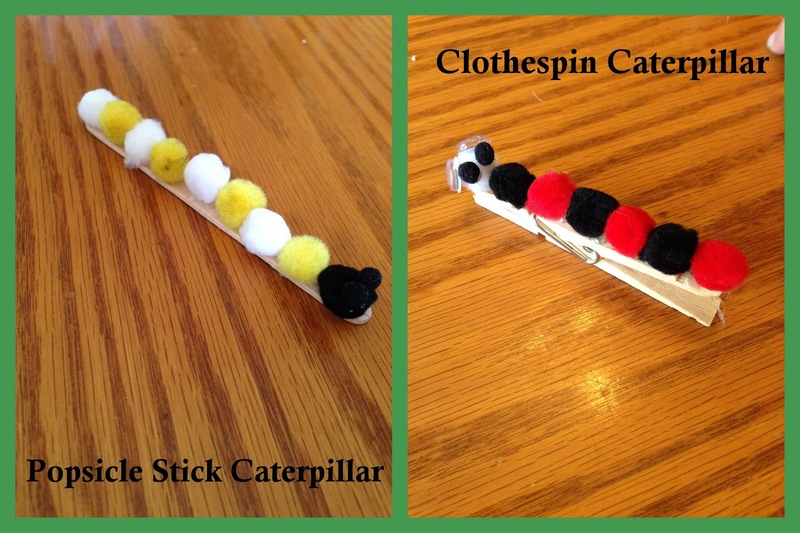 I know it's still frigid in many parts of the country, and bugs are scarce, but here's fun craft for your little ones to do while they're stuck indoors: Popsicle stick caterpillars or clothespin caterpillars. This was a simple craft for my boys, but they loved making their own patterns. All you need is either Popsicle sticks or clothespins, pom poms, googly eyes and glue. We used hot glue, but school glue could work too. You can glue googly eyes to the front, or glue little pom poms on the head. Have fun! Thanks We Made That for the fun idea.